Huachuca Gould’s Chapter of the National Wild Turkey Federation (NWTF) would like to invite children 8-17 years old and their parents, to attend our annual event on 23 June at Soldier Creek Park in Sierra Vista. This family event is designed to instruct youth in the fundamentals of the outdoors. Registration will start at 0800 hrs at Soldier Creek Park, located on Taylor Drive east of North Garden Avenue, with classes starting at about 0930 hrs. Lunch will be provided and water will be available at each station. Parents or guardians are required to attend the event and will receive a free lunch with their children. We do ask that everyone bring their own hat, chair, and sunscreen. The cost of this event is FREE​. Pre-registration is required and deadline is 18 June. All children registered will receive a one-year JAKES membership with NWTF. This event will be limited to the first 50 children that sign up. To pre-register or if you have any questions go to our website at: www.nwtfhuagoulds.org or please contact one of the following….. 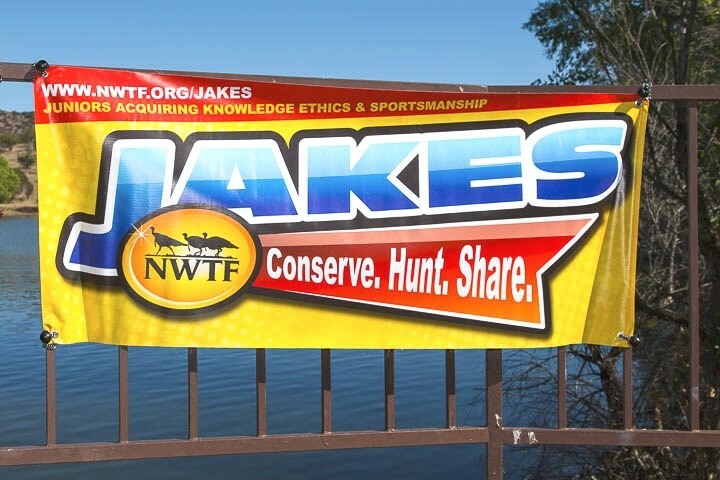 Registration for the 2018 JAKES Event is required, and will be held to the first 50 Children! Registration for the 2018 JAKES Event is required and will be held to the first 50 Kids!